Even though it doesn’t play to my shot shape – it favors a fade, not a draw – and has resulted in me making pars Robert Frost would appreciate – via the road less traveled – I still like the closing hole at Shadowridge Country Club in Vista. No. 18 is a downhill, dogleg right par-4 that plays 443 yards from the blues to a generously sized green fronted by a pond with a fountain. I like it, for one, because the view from the elevated tee provides a great vista of Vista and the clubhouse. It’s a beautiful and memorable way to finish your round. 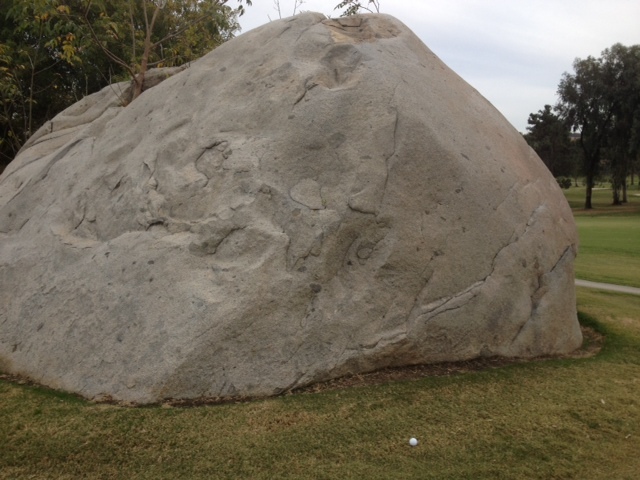 Also in view is a giant boulder that sits at the turn, defining the left side of the fairway. Over maybe 10 rounds now at Shadowridge, I’ve become quite familiar with this boulder as I’ve both bounced tee shots off the top of it and been jailed behind it, like I was on Tuesday. On Tuesday, I simply punched out to the fairway, threw a wedge in to about 12 feet and sank a putt to save par. My most memorable playing of the hole came during a round last summer. My tee shot hit the top of the boulder and bounded about 40 yards forward into the stand of trees, settling behind the smallest one. 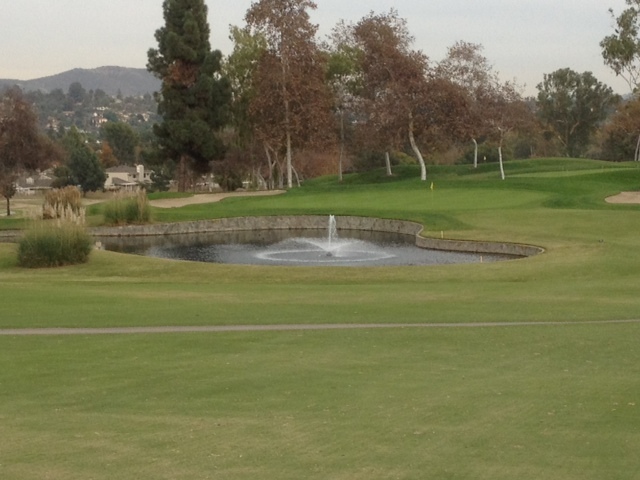 Miraculously, my ball had escaped, cleared the water and settled on the left side of the green. I finished with a two-putt par and a story. For a writer, that’s about as good as birdie. My next goal is make par, or birdie, and spare myself the drama by actually hitting the fairway, as my playing partner did on Tuesday. But after bombing his tee shot, his wedge flew long, giving him a very tricky chip to this front-to-back sloping green. A masterful recovery allowed him to save four. The sum of those stories is what a great 18th should be: a reasonably demanding tee shot; a fair chance to make a nice number with a solid approach; an assumed risk – be it boulder, bunker, water, tree, or deep rough – if you don’t execute either of those shots; and, just as important, an aesthetically pleasing and memorable way to complete your round. For me, I’m taking less than driver here next time and am going to play for a 150-yard approach. That way I can appreciate my nemesis boulder from afar as I hopefully take a less dramatic way home. This entry was tagged No. 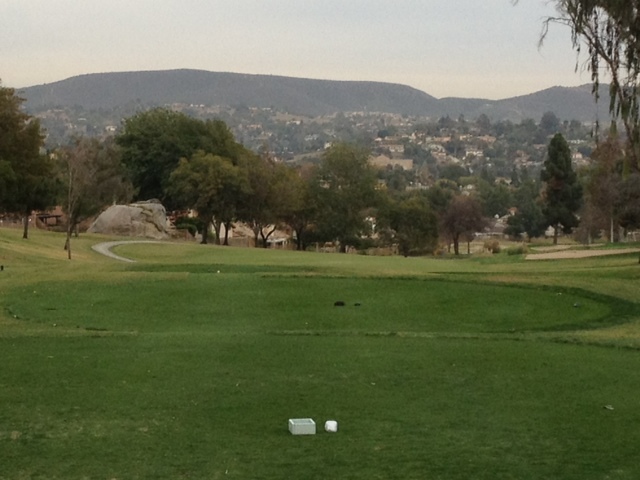 18, Shadowridge Country Club, Vista. Bookmark the permalink.